Food and flags from countries lined the perimeter of Gates Quad on Saturday to celebrate culture. Steel pans sounded and DJ Trouble Kidd played some tunes. Trinity students representing countries from Sweden, to Israel, to Madagascar, showcased aspects of their culture. The Sweden table had shrimp on toast, which they call Skagen. 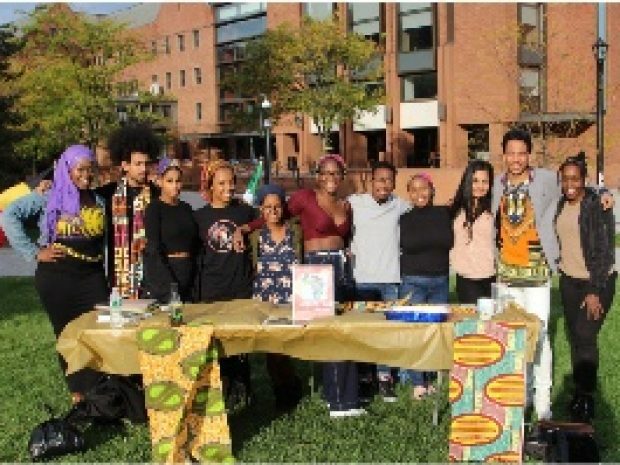 A table representing African countries gave students the opportunity to create African head wraps. And, in a seeming symbolic gesture, Israel and Syria shared a table.